Sometimes all you really need is a little pomp and circumstance to make a cake great. 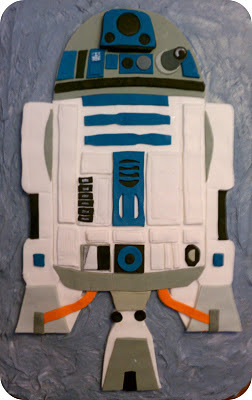 I made this little R2D2 for my friend's son, Luke's fifth birthday party. 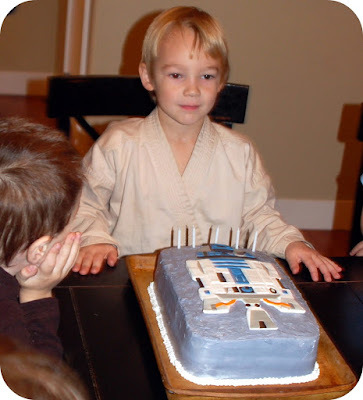 He might only be five but he's a huge Star Wars fanatic and really wanted an R2D2 cake for his party. I couldn't say no, could I? When Luke saw the finished product, oh how I wish I had had a camera! He was SO excited! Awww that is way too cute! Awesome! 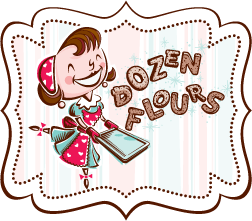 I can't believe how much detail you included!